The Rev. Dr. Charles E. Odom is the founding pastor of First Fellowship Baptist Church, the man at whom the buck stops and through whom its vision goes. Obedience to God has guided him a mighty long way, and the Lord doesn't appear to be nearly through with him yet. From deacon to day care, from the post office to the pastor's office, Dr. Odom has followed a uniquely God-ordained path that helps him relate to his membership in ways with which they can readily identify. His humility and ability to "keep it real" allows him to connect with those from age eight months to 80 years. Yet he remains a powerfully anointed man committed to a global mission -- to spread the word of God throughout the world, empowering believers spiritually and developing them educationally. This ongoing vision began to be realized after he spent 18 years with the U.S. Postal Service as a supervisor in customer retail. Pastor Odom stepped out on faith, with the support of his beautiful wife, First Lady and Minister Constance B. Odom, and a few people who believed God was going to move in a miraculous way. The church's first service was held on March 17, 2001, and God has provided the increase in membership since. Pastor Odom served as an ordained deacon for 23 years before acknowledging God's call to preach the gospel. 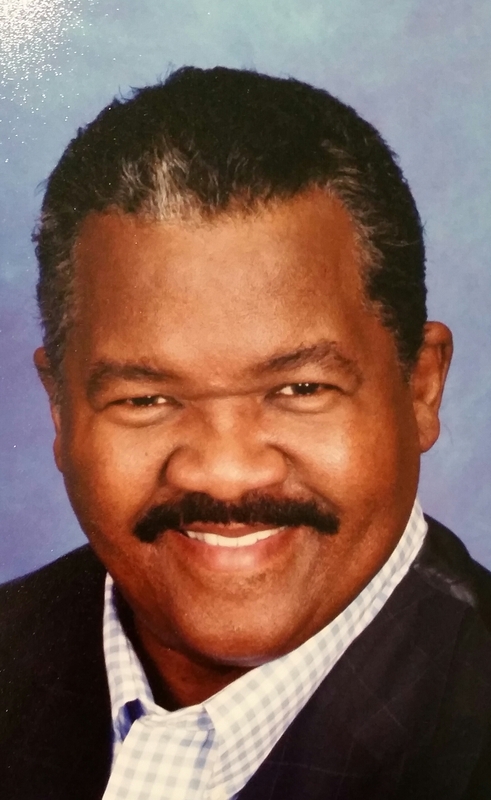 He served as an associate pastor under the late Rev. Dr. C.L. Stokes, pastor of Grace Covenant Baptist Church of Atlanta, for five years. Pastor Odom and his wife founded Pals and Gals Child Care and Learning Center in Norcross – which grew and became Boswell Edward Academy, with over 100 enrolled children in two state-funded Pre-K programs. He pours himself and the wisdom God has granted him into those with whom he comes into contact. He has ordained 10 deacons and five ministers, licensed five more ministers and appointed five trustees. His ministry started in an open section of a day care in Alpharetta, but has blossomed into a 13,000-square foot building that incorporates both day care and church. God continually blesses him with ideas to enlarge the ministry's territory. Pastor Odom received his higher education from Morehouse College in Atlanta. A dynamic motivational speaker, Pastor Odom has extended his reach into the community by becoming an active member of the Black Atlanta Chamber of Commerce and the Concerned Black Clergy of Atlanta. 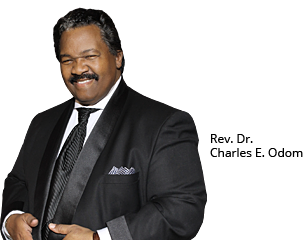 In June 2011, Pastor Odom partnered with The Body of Christ Ministry School of the Great Commission Seminary & Bible Institute, Rev. Dr. Winford J. Thompson; Pastor/ Chancellor. Out of this partnership, Pastor Odom received an Honorary Doctor of Divinity Degree two months later, in recognition of his ministry's work in helping to build the Kingdom of God on the local level. He also has received commendations and proclamations from local and state political leaders recognizing his impact on the community. Pastor Odom was born in Columbia, S.C., to the late Rev. M.J. and Sis. Maggie B. Odom. From that union, Pastor Odom has one sister, Audrey Jackson of Lithonia. The pastor and first lady are the proud parents of three children: Terrell Dashone, Quentin Paul, and Michael Ransford, and grandparents to Terrell Jr., Jayla, Alyssa and Jackson. They also serve as surrogate parents for many other children in the church and community. Most of all, however, the pastor and first lady love the Lord. In Him, they find strength to do all things.